The day’s theme is the power of words and symbols. Brentwood, NY - January 5, 2017 - More than 600 middle school and high school students will attend The Suffolk Center On The Holocaust, Diversity & Human Understanding (CHDHU) and Suffolk Human Rights Commission co-sponsored Unity Day on the Suffolk County Community College Michael J. Grant Campus, Brentwood, and Wednesday January 11, 2017 from 9:30 a.m. to 1:30 p.m.
Students will view a Suffolk County Community College produced video, Fear, Hatred and Hope: The Power of Words and Symbols and feature keynote speakers Stony Brook University Clinical Assistant professor Robbye Kinkaid and Holocaust survivor, Werner Reich. Students will also see theatrical performances by Hauppauge High School and North Babylon High School Theater students and attend workshop sessions by College and community leaders. "During a time of increased incidents of hate speech and action on Long Island, the country and throughout the world, Unity Day has taken on the responsibility of teaching the hundreds of students who will attend the power that lies in acting with respect for others. There will be workshops on Hate Crimes and discrimination laws conducted by the Suffolk County Police Department Hate Crimes Unity and the Suffolk County Human Rights Commission. Students will learn what they can do in their schools, their families, and communities to create safe environments for themselves and others," said Rabbi Dr. Steven Moss, chair, CHDHU. Columbus Day Weekend: Family Fun, Festivals, Hair-Raising Haunts & More Great Entertainment! Exciting Autumn Fun, Events, News & More in September 13th's Newsletter! 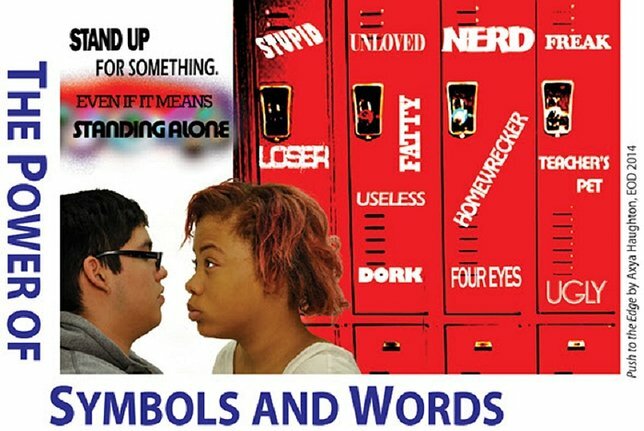 Subject: LongIsland.com - Your Name sent you Article details of "More Than 600 to Attend Unity Day Event Focused on Power of Words and Symbols at SCCC"